EDA Queensland in partnership with TCI Oceania and Regional Development Australia, Brisbane invite you to a special Brisbane Luncheon Forum with visiting European Cluster Manager of the Year and member of the EU Strategy Roundtable for ‘Industry 2030’. 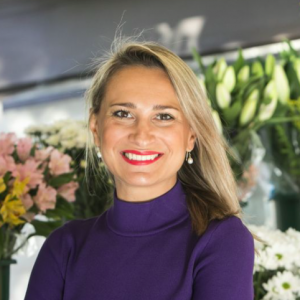 Bianca Dragomir inspires energy and passion for what she loves to do – build open, fresh, bold, entrepreneurship-driven ecosystems Europe-wide, inspire leaders of leaders and generate cleantech innovation across Europe and beyond. Awarded as ‘European Cluster Manager of the Year 2016-2018’ by the European Commission, being the first woman to win this prize, Bianca is CEO at AVAESEN Cluster, one of Spain’s leading cleantech clusters, since 2013. She launched the first climate-specific start-up accelerator in Spain and expanded it across 12 European countries, in a partnership with EIT Climate-KIC. She is Founder of the first Spanish Think Tank Smart Cities and Leader of Climate Launchpad Spain, the Global Green Business Idea Competition, since 2014. Bianca is currently a member of the European High Level Industrial Roundtable ‘Industry 2030’ and assists European Commissioner for Internal Market, Industry, Entrepreneurship and SMEs, Elżbieta Bieńkowska, and European Commission Vice-President for Jobs, Growth, Investment and Competitiveness, Jyrki Katainen, in developing a smart, innovative and sustainable industrial strategy for the future of Europe. Shed light on how clusters shape the industries of the future. Share the turnaround of Avaesen Cleantech Cluster (Spain) and its journey from a ‘cluster as usual’ to a ‘cluster of change’. Convey the missing keys to build a successful world-class cluster and how to create a thriving ecosystem of mutual success and growth for a plurality of stakeholders. Bring inspiration on how Europe is creating a pan-European scaling-up mechanism through clusters. 1.45 – 2.15pm Panel discussion “How to incorporate clusters into existing economic development work” Jacqueline Brinkman, Tracy Scott-Rimington, Bianca Dragomir and Keenan Jackson.